Continuing on with my mount hunt had me back fighting Malygos once again. I figured my luck had ran out after acquiring the Headless Horesman’s mount earlier. 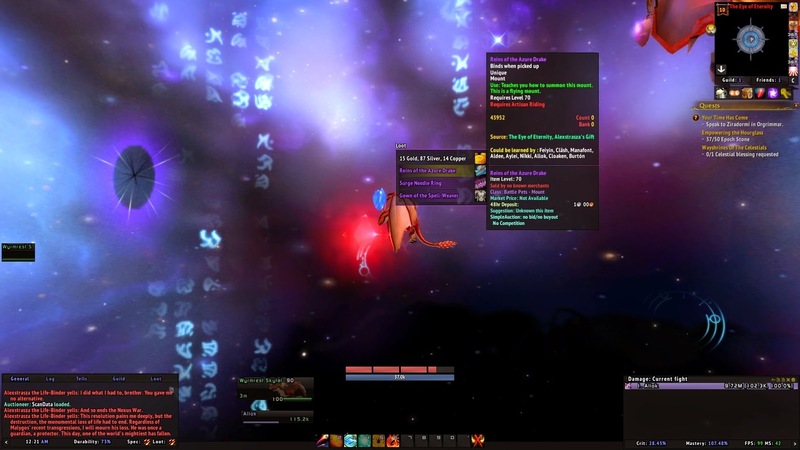 Well it came as a huge surprise when my second mount of the day showed up in the loot window. 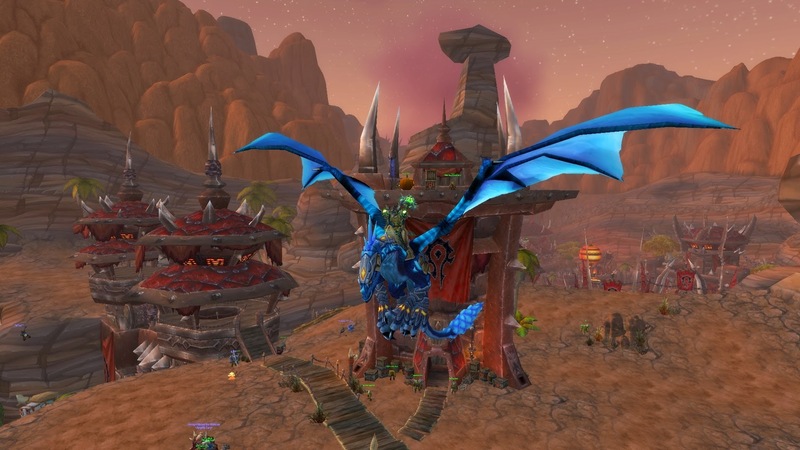 Hurray for the Azure Drake mount i suppose. More like, hurray for not having to do this instance anymore. The hilarity of not having the proper riding skill on my alt to even use the item hit me as i stared at the red text on the tool tip. It was 4k well spent though, and really, i was meaning to get that license sooner or later. Now he’s broke but riding on a hot new mount. So ghetto, as one of my friends would say. I’d have to agree. 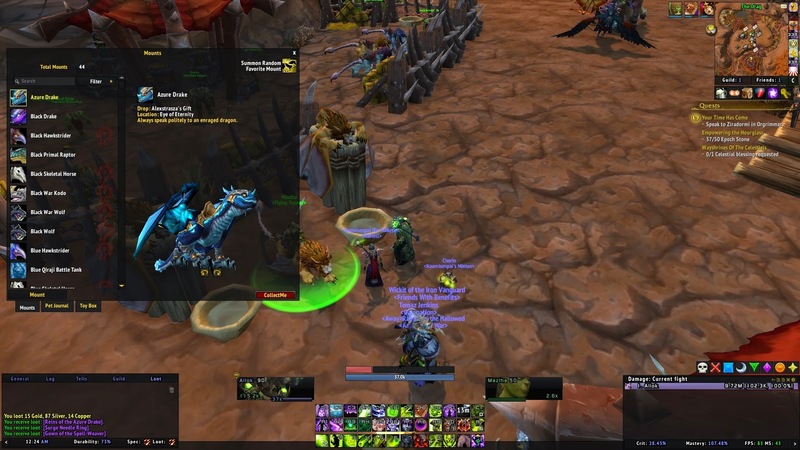 It brings my mount total to a staggering and unheard of 44! Yes yes i know it’s a super low amount but i haven’t been really going after them at all really. That was until i saw the mount you get for collecting 250. It’s green. It’s fel fire. I must have! Felfire Hawk shall be mine.